The Shark Is Honoured! The Shark Is Honoured! Greg Norman, aka the Great White Shark was honoured in grand style during the staging of the 2018 Asian Golf Awards in Bangkok, Thailand. Norman, a true legend in golf and arguably the most successful entrepreneur from the golf industry was inducted into the Asia Pacific Golf Hall Of Fame. 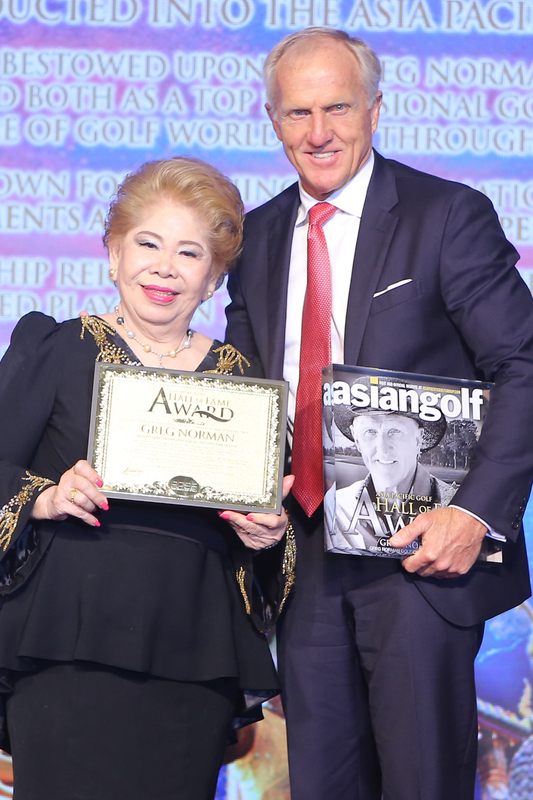 He received this honour from Angela Raymond, president of the Asia Pacific Golf Group, the owner and producer of the Asian Golf Awards. Norman was also recognised as the Best Golf Course Architect for 2018 and KN Golf Links in Cam Ranh in Vietnam, a course designed by him, was declared the Best New Golf Course in the Asia Pacific for 2018.